Can anyone who is NOT a Frozen fan raise their hand? Few films can match the attraction that this icy animated flick has generated. It is already the fifth highest grossing in the USA, and it's worldwide earnings stand at $1.2 billion! 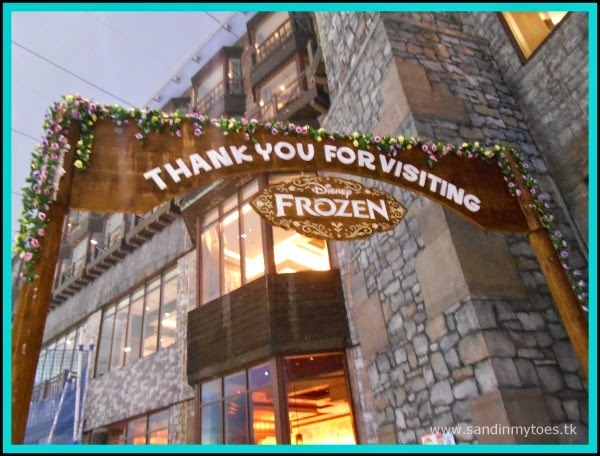 If you stay in Dubai or are planning to visit, there's now a place where you can actually enter the world of Frozen. Ski Dubai, which is already one of the city's top attractions, has become even more attractive with it's latest makeover. 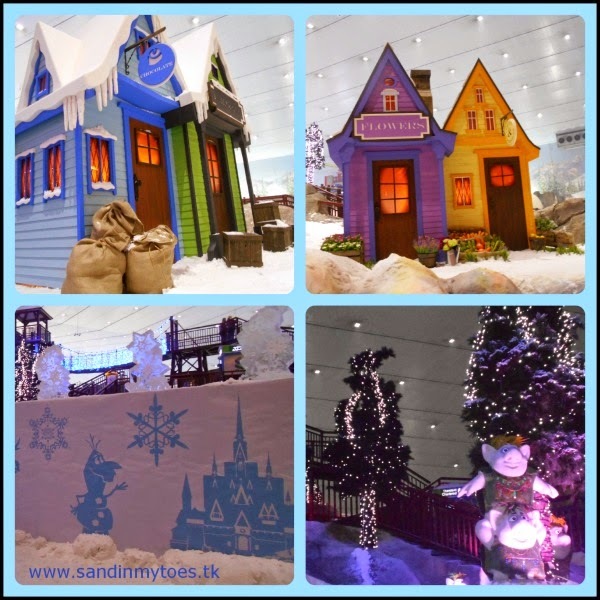 Majid Al Futtaim Leisure & Entertainment and Disney have come together to create a Frozen Winter Wonderland that has to be experienced to be appreciated. We were given a tour of this new amazing place, and I can't wait to tell you all the surprises it has in store! Now, I must add that this was Little Dude's first experience with snow, and just the second time for me. So, it's safe to say that we were both excited! 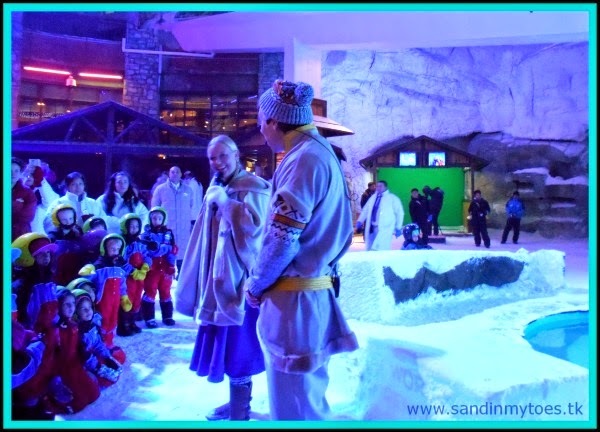 I was glad that Ski Dubai had a snow suit in the right size for my little guy, which we were given at the entrance. One of the first things that caught our attention was a giant ice sculpture of a dragon. It was magnificent to say the least! As we entered the Snow Park, we were greeted by a talking Olaf that was as adorable as the character himself. They also have a green screen where you can get a photo taken, which is superimposed on your chosen Frozen background. This makes a great souvenir to take home! 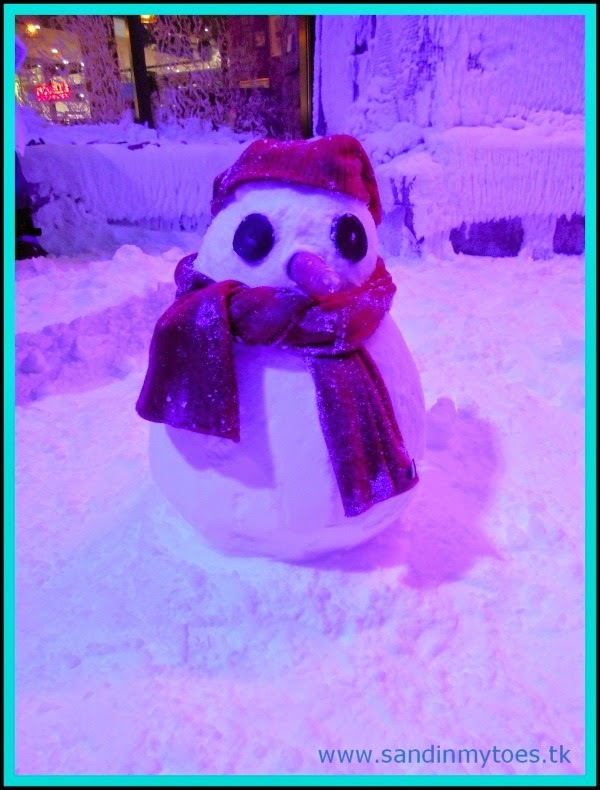 In fact, you can get photos taken at any of the Snow Park's attractions, to choose for printing later. Further on, there's a huge screen with a welcoming Olaf next to lake, and I have no idea how that water remained in liquid state! This is when Anna and Hans made their appearance. Soon, there was sing-along session in which the children and parents enthusiastically participated as the songs played on the screen. 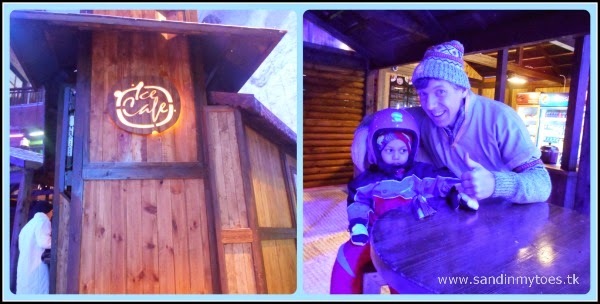 Little Dude had decided that it was already 'too cold' for him, so we went into the Ice Cafe for some hot chocolate with marshmallows. It was just what we needed to give us a nice warm feeling inside. We also ran into Hans here, who chatted with a 'very cold' Little Dude. There was a story-telling session that followed outside the Snow Park, and a snowflake workshop that the older kids enjoyed. I lingered around to admire the Winter Wonderland, and I can tell you that Frozen fans will not be disappointed! There is a mock-up village based on the film. You can also spot the trolls, and many Frozen references throughout the Snow Park. For thrill seekers, there are also many rides and snow sports to do like snowboarding, toboggans, and giant snowballs. And of course, you can ski. I didn't really want to leave this fantasy land, but I was getting a little cold! 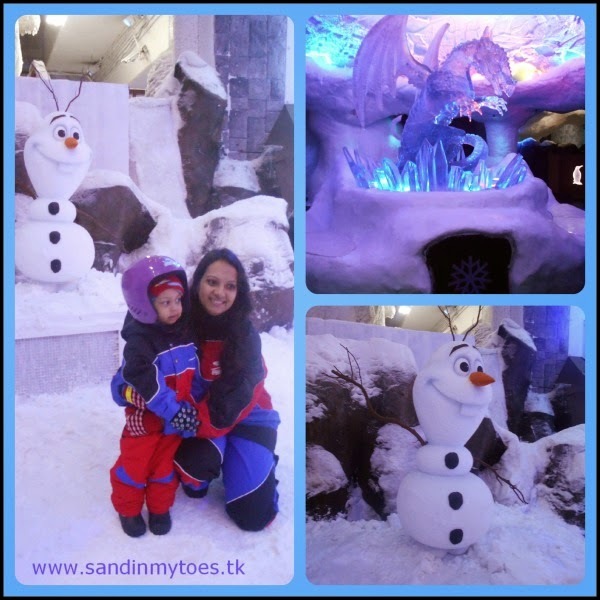 The Frozen Winter Wonderland at Ski Dubai is open until the end of February, but I don't think you should wait that long to check it out! Tickets starting from AED 225 ($61) can be bought at the counter. Snow suits, boots, and gloves are included in the ticket price. 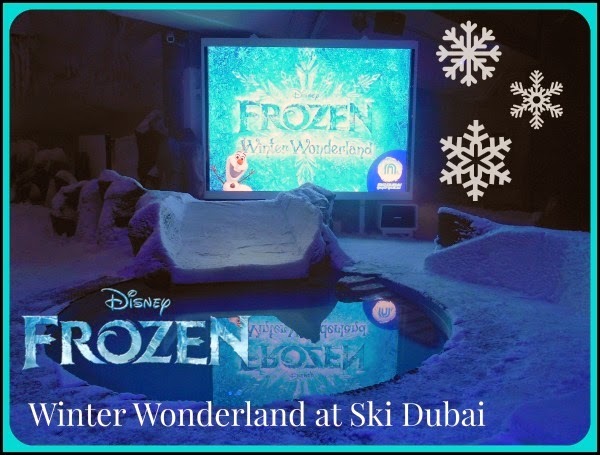 Check out the Ski Dubai website for a list of Frozen activities happening there, and other information. Ski Dubai is located at Mall of the Emirates, in Dubai, UAE. LittleMiss and I read this and she blurted out "it's cold, Ma" It was a fun time with you, LittleDude and Uncle S.
Ok, I'm sold!! On my to do list for the month. Good to hear that, I'm sure you'll love it! 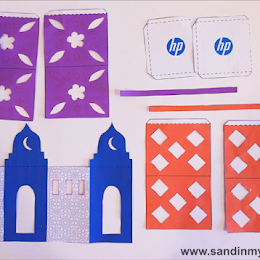 Lovely pictures, Tarana! I passed by Ski Dubai on a weekend and there was so much crowd. I'm sure this Frozen theme is such a hit. How come Elsa wasn't there? Wish I could bundle my two into a plane just to come and visit this! 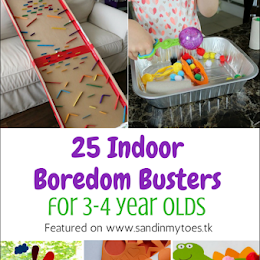 I think my daughter knows all the words to all the songs in Frozen and my son would be making snowmen galore! Wow how much fun does that look? It really looks like it is all outside, but I'm guessing it is infact indoors? A brilliant way to experience snow. For Frozen fans, this is definitely an awesome place to be! Thanks Sara, it was fantastic!